Picture a future where you don’t own a car. Whenever you want to go anywhere, you start the app and request a ride. A car arrives, waits for you and takes you to your destination and leaves. 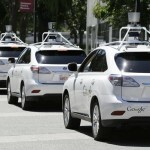 This could be our future if Googles self driving car program is realized. This comes with several advantages. The cost of car ownership will be shared. Travelling will basically become a larger taxi service. You will only pay for the cost of your ride and not for any unused time of the car. This is unlike modern taxi services where ride costs include the total cost of owning the vehicle. Because of nearly 100% utilizing of a vehicle the per mile cost lessons dramatically. This makes it cheaper than owning your own vehicle. 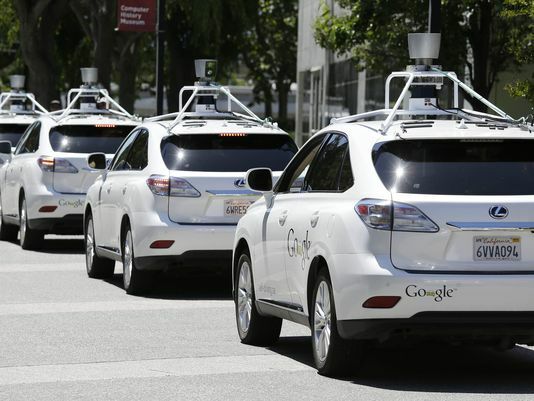 In a world where the majority of cars will be self driving, you can expect almost no accidents. The average number of vehicular deaths in the USA in the last few years has been close to 50000. This number can reduced by as much as 90%. With better utilization of vehicles, there will be less cars on the road. This will means less or no traffic and better use of time. Now estimates of travel time will be much more accurate. With less vehicles on the road there will be a lot less pollution. By the time autonomous driving is realized, fossil fuel based cars would have been phased in favour of electric or other more efficient and cleaner alternatives. Thanks to autonomous cars, we will live in a safer, cheaper and cleaner world where we will arrive at our destinations of time. Banner ads are one of the most popular forms of display advertising that are used online today. Study after study has proven that these ads are typically successful at growing a company’s client base and potential sales. Due to the sheer number of ads that consumers come across every single day, it’s crucial for advertisers to use ads that stand out among the crowd. Unfortunately, if ads don’t have a unique, eye-catching appeal, most viewers will not remember the ad. If a client doesn’t notice or remember an ad, they’re less likely to think of that brand when they need to purchase an item. There are a few things that companies can do to make their ads more memorable and engaging. One tip is to avoid static banner ads. Today, the most successful online ads are live banners. Banner ads that feature animation and videos tend to be more memorable for viewers than static ads. Banner ads should be dynamic and interactive. Many businesses still rely on static banner ads which means that a live banner will stick out. While it is often more expensive to use dynamic banners, they are undoubtedly more successful at achieving their intended goal. The goal of any ad is to eventually lead to sales. However, advertising has more to do with growing brand recognition and creating an idea in the minds of potential clients. In order for ads to bring in new clients, they have to create interest for the ad viewers. Author bio: Guest post is provided by Ted Dhanik, CEO of engage:BDR, supplier of high performance marketing solutions. Ted Dhanik is a passionate blogger who helps form trends in display advertising. Visit www.teddhanik.com for more information on Ted Dhanik. So a company wishes to promote their product or services. Paying for a large advertisement in a newspaper or periodical can be quite expensive, and there still remains the question of whether the potential customers are actually getting the chance to see the company’s message or not. When dealing with online advertising, banner ads can still be catered to a website that relates to the product. But even then, the potential for the public to gloss over them is still there. However, there is a way to create that extra push that can get website providers to help feature your ads. Pay– per– click advertising creates a relationship with the web providers that feature a company’s ads. Basically, the website featuring the ad gets paid for each click on the link to a company’s website. In many ways, this sort of advertising relationship is mutually beneficial. The company that is marketing a product or service may spend money for each potential customer. However, the payment is quite low, in the nature of a few cents, which is relatively little for the amount of future or existing customers that will visit the site. And through these payments, most websites become self sustaining with the placement of a few embedded ads. Not only can this ensure that your ads will be seen, but that those who run a website will do what they can to make sure your ad is seen. It is the nature of this agreement: you pay the provider and the provider supplies the payer. Ted Dhanik has provided this information for the benefit of you and your business. When looking into advertising solutions, Ted Dhanik is the consultant you need to help your business grow. Visit Ted Dhanik at his website to see what solutions he has in store for you. With LinkedIn having almost 200 million users, there have been new features to this social media network, in regard to looking for and posting jobs. If you aren’t exploring the recruitment potential that LinkedIn has to offer, you might just miss out on that next great candidate. While the free version doesn’t work so well, the paid one does. It costs $74.95 and is well worth the price, considering how much companies spend on hiring people. You can contact anyone on LinkedIN with this feature. This is the first thing that an organization must do – setting up a Company page along with adding a Careers page with available jobs. While you might have to pay for the latter feature, you can also add important information as to what it might be to work at the company, testimonials, videos and messages from current employees to attract attention. This is the best way to attract potential employees as they are more likely to apply for a sponsored job rather than anything else. All you have to do is bid for the top placement for ‘Jobs You May Be Interested In” space. Not only will this give your ad top billing on LinkedIn’s home page but also by displaying the ad in the potential employee’s inbox. You’ll only get charged if a potential employee clicks on the ad. Participating in group discussion with people who think similarly puts you and your organization in the spotlight. This might work as curious (and potential employees) might just check your page regularly. Any business would know how important a router is, considering that it is at the heart of your network. By definition, a router enables you to share your internet connection between your PC, tablets and smartphones and so on and so forth. Most routers have an in-built Wi-Fi access point so as to provide wireless network connections to PCs and other devices with Wi-Fi adapters. As a rule, buy a wireless routers which is of the standard, IEEE 802.11n or the 802.11ac draft version as the others are considered to be legacy standards. Wireless guest access allows you to create a separate SSID that is different from your main wireless network. So, when guests use this feature, they will not be able to see traffic or even access files or computers on your network. Instead of offering a simple wireless features, some routers allow you to create a several customized networks known as VLANs or Virtual LANs – be it a separate network connection for management, for regular employees or for guests. They will also have multiple SSIDs that will offer these multiple wireless networks. Some business class routers include a VPN Server and Client, where the former allows users to access your network securely securely while at a different location. The latter helps connect to another router over the Internet, making it easy to share files and resources between two locations. Some routers include a USB port so that people using the network can use a common printer. An external drive can also be shared with users with the availability of this port too. The growth of online shopping is evident these days especially since many more people are using their credit cards to buy products online, no matter what they are – electronics included. Yet there are instances when people have been defrauded, thanks to how easy it is for fradulent companies to appear authentic to customers, by means of constructing a website. So, here are a few steps that will help you determine how you can safely purchase products safely when surfing the web: #1: Make a list of websites that offer the product you’re after by entering their names in a search engine. Another way to do this is to enter the name of the product in a search engine, and you’ll find a whole list of websites that offer the product. In most cases, Amazon will appear in that list of other smaller online shopping sites. #2: Ensure that you review each site carefully for contact information among other details when making this list so as to verify their authenticity. #3: Now, check for the prices offered by each of these websites for the product that you wish to purchase. #4: Websites that offer more information about the product than other, in the form of demos, features, specs and an overview, tend to be credible sites to purchase electronics from. Look for this while also collecting as much information about the product as possible. #5: Read customer reviews at the site of their experience with both the product as well as the site’s efficiency. This is another way by which you’ll know whether the site is credible or not. #6: Avoid sites that ask you for your credit or debit card information. As much as possible, try andpurchase a few products from the site by using the cash on delivery facility that some sites offer. #7: After this, you can make an expensive purchase by buying the product that you wish to buy. Volvo generators can make a big difference to the bottom line of your company. They can, whether you want to believe it or not, save you a lot of money overall in terms of the amount that you spend on fuel. When the generators are of the diesel variety, you can rest easy in knowing that they will be operating at a high efficiency level. Diesel generators are first and foremost far less expensive to run than gas or propane generators. They burn less than half the fuel when you compare them to gas engines. On top of that, when you look at the price of diesel fuel, it is less expensive than gasoline or propane. Fuel costs are far lower per kilowatt for diesel than gas. In terms of efficiency, diesel generators use less fuel consumption due to the fact that diesel is more energy efficient. The energy produced from diesel is higher when compared to the same volume of usage of gasoline or propane. Fuel is one of the biggest costs that you can run into, but when you break it down and manage it properly you really do not have to spend as much as you do. At the end of the day, generators of the diesel nature such as 50KW diesel generators from Broadcrown generators can really help you improve your overall fuel efficiency and save you money. Industrial Diesel Generators have some great options for you to be able to save money on fuel and improve the efficiency of your company. Business organizations need to make proper use of the Zebra Barcode Label Printers and you can get the best through www.printer–specials.com. This month’s featured supplies are Genuine Zebra Ribbons. When you need to make sure your printer runs smoothly, you need best quality and most durable ribbons. You can easily purchase ribbons for Zebra Thermal Desktop Printers and other models. There are several choices and options when it comes to ribbons. You can get wax, wax/resin or resin ribbons, each of which has its own strengths and preferred applications. If printing on paper is your primary use, then you should be using wax ribbons. The 2000 standard and 5319 Performance are the best for paper printing. For printing on coated paper, the 2000 standard is the ribbon to go for while on uncoated paper, the 3519 Performance is the better choice. For somewhere between durability and performance Wax/Resin is the way to go. The Wax/Resin ribbons provide the best security in terms of durability. The products in this category provide protection against most chemicals, scratches and smears. These Zebra Mobile Label Printers are best suited for the industrial purposes and should be used with right ribbon. The best choice for which would be the resin ribbons which are the most durable against chemicals and heat on synthetics. Get a free sample by calling Printer Specials.